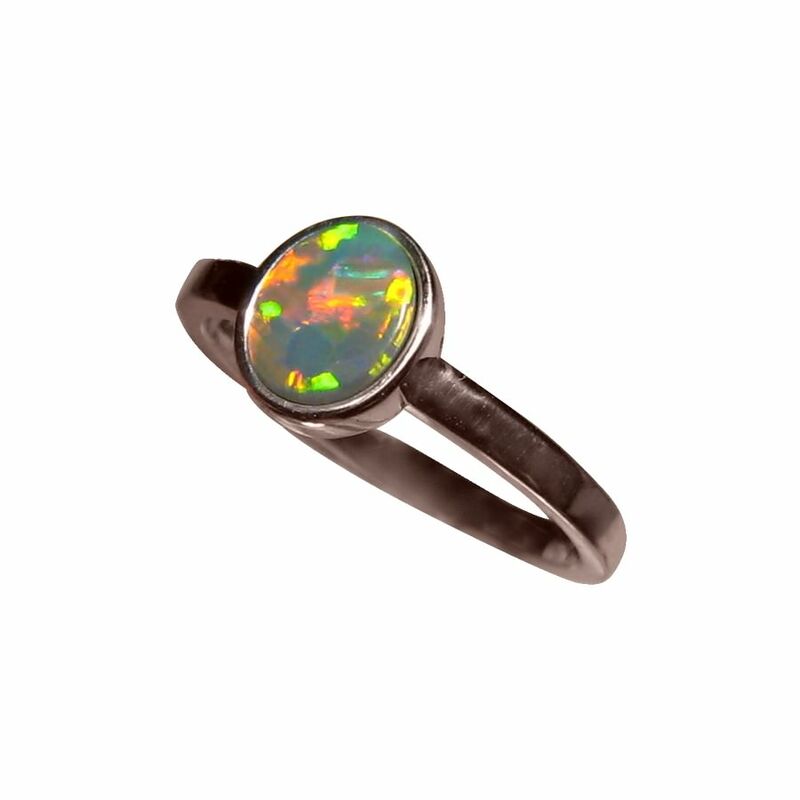 A genuine semi Black Opal ring for women in 14k Gold with an oval Red Harlequin Opal. In stock and ready to ship. 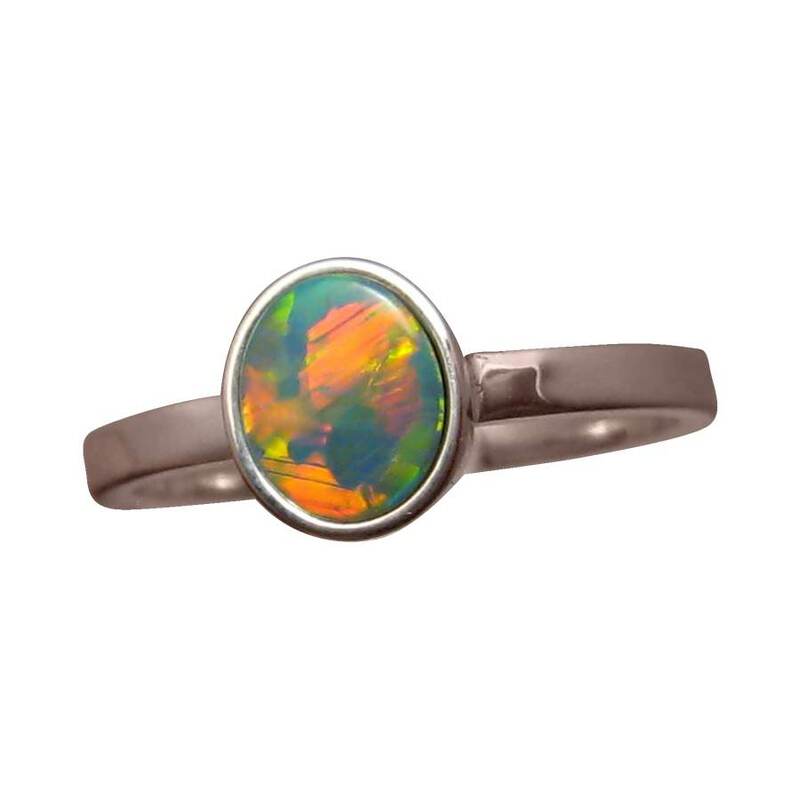 This is a gorgeous Opal ring with a fantastic mix of colors in a lively pattern. 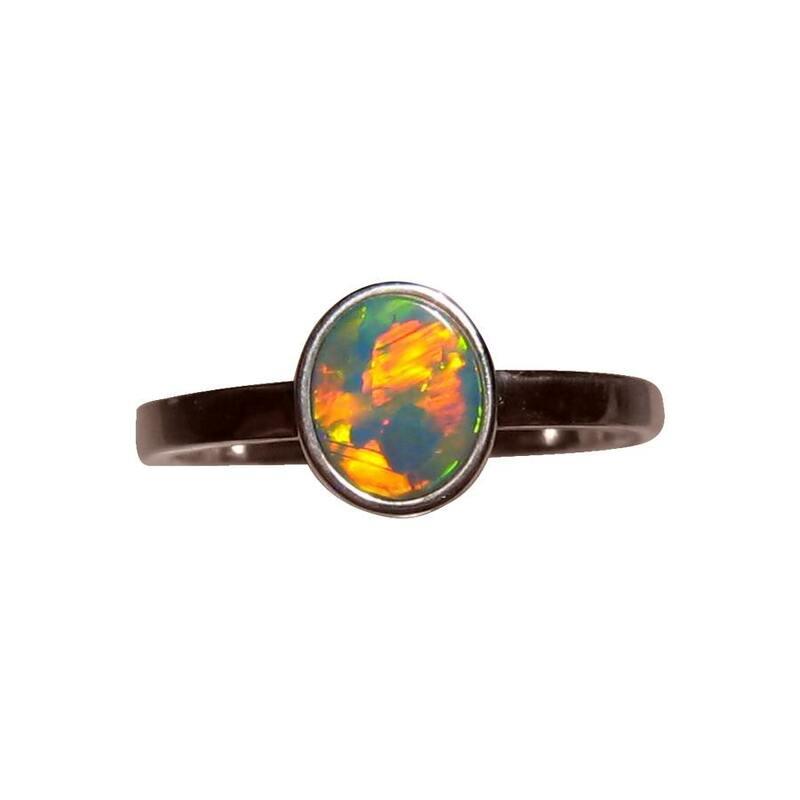 Shown in 14k White Gold, the ring is a a simple modern design suited to most fingers and is inlaid with one oval Lightning Ridge semi Black Opal that weighs just over ¾ carat. 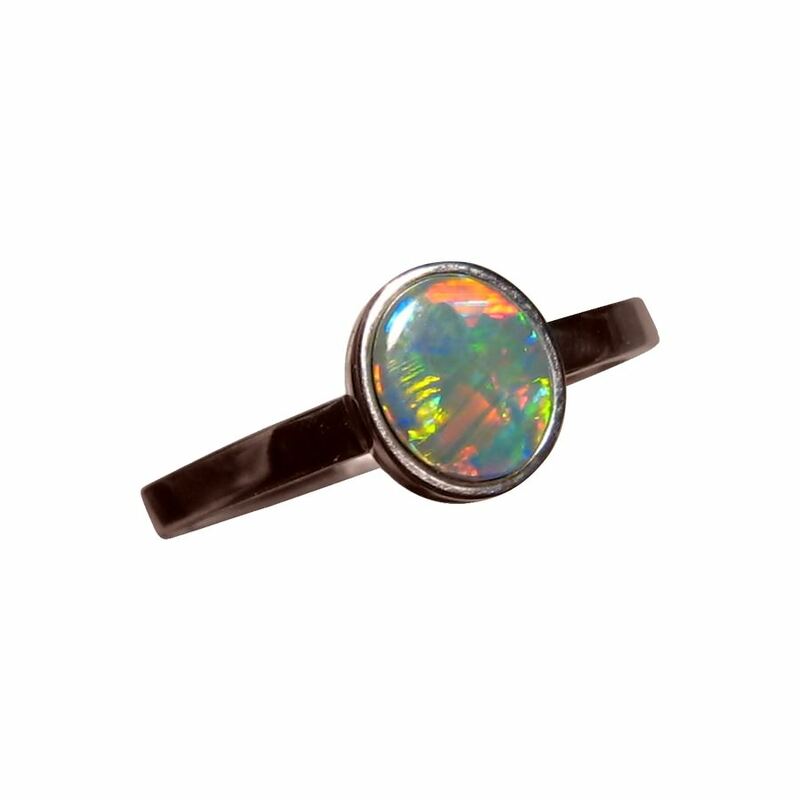 The Opal displays a vibrant mix of colors and the video is the best place to view the Patch Harlequin play of color. 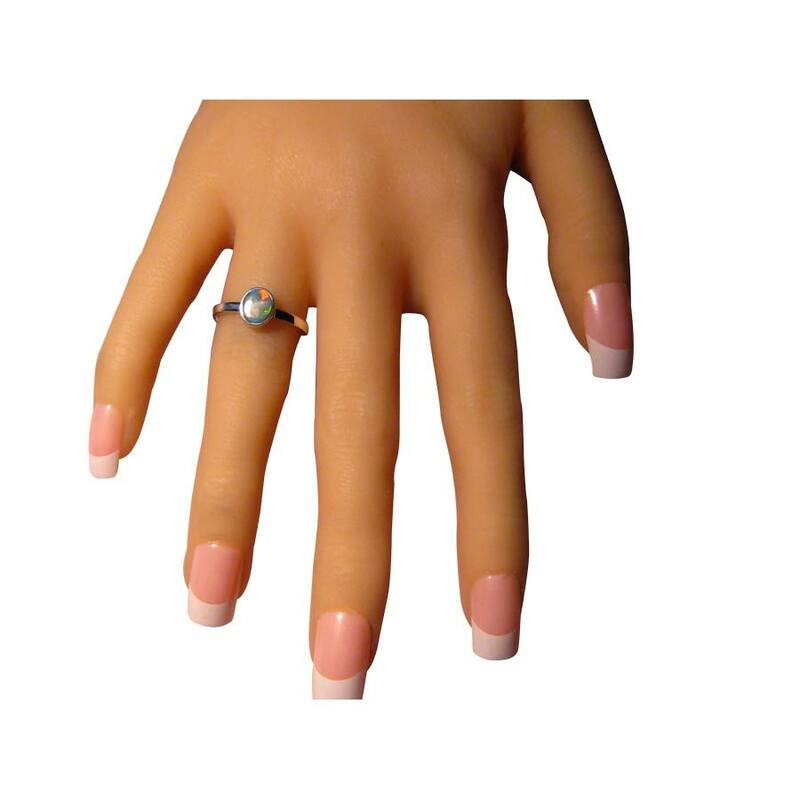 This Opal ring is sure to be complimented on when worn and is ready to ship as detailed below but as the Opal is not yet secured, the ring can be made in your choice of Gold color and in any ring size which will take about 7 days to make before shipping. The ring has a high polish despite what the images may show and any minor blemishes or dark areas you may see are not visible to the naked eye. You will receive a quality finished ring.